If you want 6 or more seats in the course for your organization, save money by PURCHASING A SITE LICENSE. Otherwise, put in 1-5 seats below and click the “Add to Cart” button. 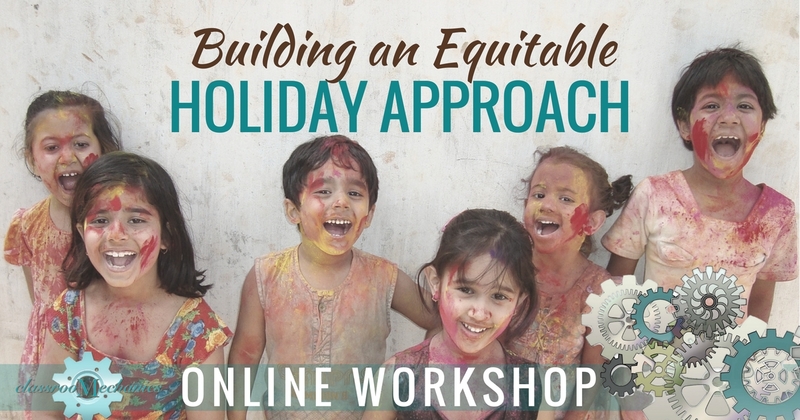 The Building an Equitable Holiday Approach Workshop is designed to help administrators, teachers, and guides to create a plan for observing holidays in their classroom and/or school that both represents their community and appreciates the world’s many cultures.